Le Dune Cicas is a comfortable villa situated in Lido Fiori di Menfi, just a stone’s throw away from one of the most beautiful beaches of southern Sicily, that extends between the towns of Selinunte and Sciacca. 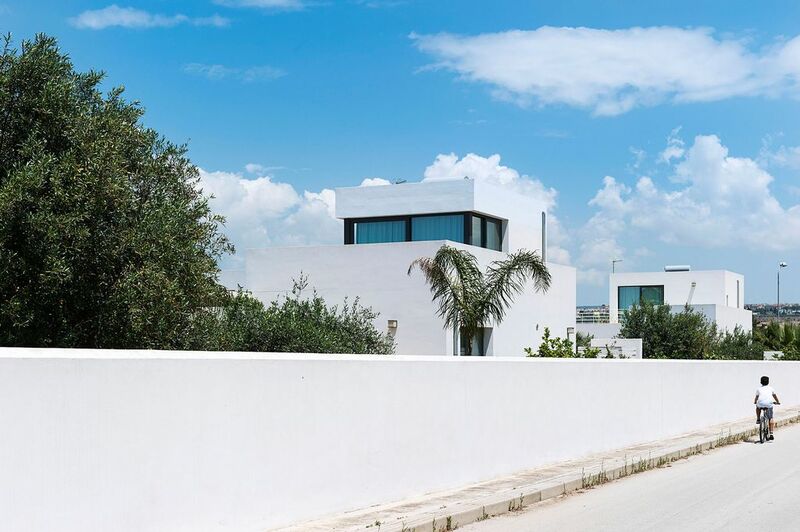 This newly built villa, designed with straight lines and essential shapes, is surrounded by a spacious terrace and a typical Mediterranean garden. Spread over two levels, the villa is furnished with taste and comfort in mind and is equipped with internet Wi-Fi, Ipod docking station, satellite TV, A/C and washing machine. The ground floor includes a bright living room with kitchenette and dining area, a double bedroom, a twin bedroom and a bathroom. On the same level, but accessed from outside, is a well-equipped kitchen. An external staircase leads to the first floor, which is home to a double bedroom with en-suite bathroom and a beautiful terrace with views over the surrounding landscape. The villa location, besides being practical for reaching on foot the lovely beach of Lido Fiori (which has for many years been awarded the FEE’s Blue flag for the quality of its water), is ideal for exploring the area and the towns of Selinunte, Sciacca, Agrigento and the Valley of the Temples, Marsala, Trapani and Erice. Ground Floor: living/dining room, kitchenette, kitchen (accessed from outside), 1 double bedroom, 1 twin bedroom, 1 bathroom with shower. First Floor (accessed from outside): 1 double bedroom with en-suite shower, terrace.